Among Mona Thompson’s teaching materials is a set of invisible tools. 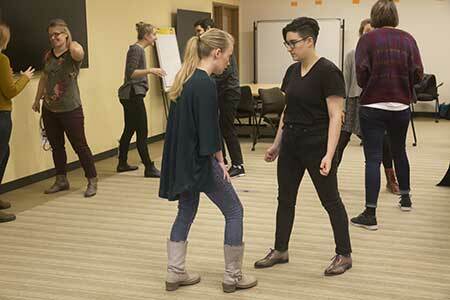 A self-described “improv educator,” she brings those tools — techniques honed from years of improv acting — to the theater classes and professional development workshops she leads in San Francisco and Boston. Now, as a master’s student in the Arts in Education Program, she’s introduced them to the HGSE community, too, via a recent J-Term workshop — an interactive opportunity to hone the listening and quick-reaction skills that are as necessary in the classroom as on stage. As a partner in Collective Capital, a group that runs customized workshops as professional development for nonprofits and businesses in San Francisco area, Thompson has led hundreds of improvisation acting exercises that build teamwork, listening skills, and curious thinking — all skills that she sees as important to educators as well. 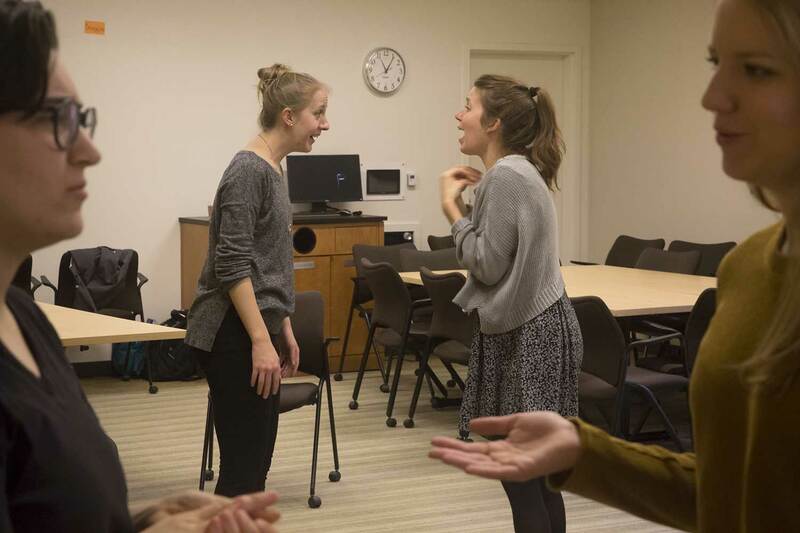 As a student at HGSE, Thompson hoped to answer the question, “What can improv be useful for and how can it open up important conversations?” Leading the J-Term workshop offered her a perfect opportunity to explore. In the class, participants introduce themselves verbally, gesture physically, move often in an open space, ask for consent before touching others, speak in pairs or small groups, and orient themselves in circles or front-facing arrangements. Thompson asks participants to turn to their partner(s) and say “thank you” after each activity ends and before forming new groups. “I think ‘thank you’ is important because it gets us out of our head and reminds us of the value of people around us,” Thompson explains. At the end of the workshop, participants gather in a circle and reflect on their experiences as a group, with mentions of expanding their comfort zones, learning the value of being a little goofy, and some wondering — can HGSE create a new extracurricular improv club?